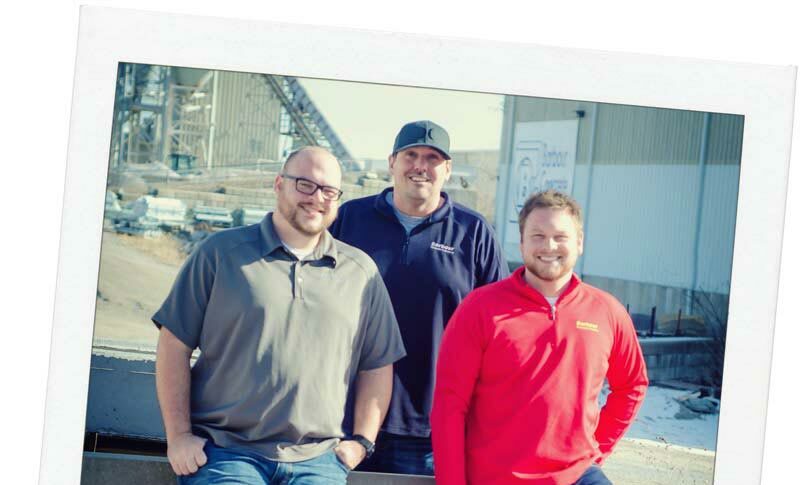 For more than 70 years, Independence, Missouri has been home to Barbour Concrete Company; a family owned business in its third generation of leadership. In its infancy, the company, founded in 1946 by Woody and Pauline Barbour, manufactured ornamental concrete picnic sets, birdbaths, and flower urns in the yard of the Barbour home on Winner Road. In the early 1950’s Woody introduced precast concrete steps to the Kansas City area construction market. Many of them are still in use today! In 1961, after earning his degree in Mechanical Engineering from the University of Kansas and completing his military service assignment, Jim Barbour joined the family business. In 1963, Jim introduced production of precast drainage structures and in 1969 the company began producing precast concrete curb inlets, many of which are still being used throughout the Kansas City area and the Midwest. The company continued its growth by expanding its manufacturing capabilities to include sewer, communication and power manhole structures, water meters, and gas vaults. In 1971 Woody passed away and Jim assumed the responsibilities as President and Chief Operating Officer for the family business. Jim has left a lasting impression on the precast industry and was one of the visionaries that helped to launch the National Precast Concrete Association (NPCA), now an international association, celebrating 50+ years of service. Jim went on to lead multiple industry initiatives and held numerous leadership positions with the NPCA including Past-President in 1969. 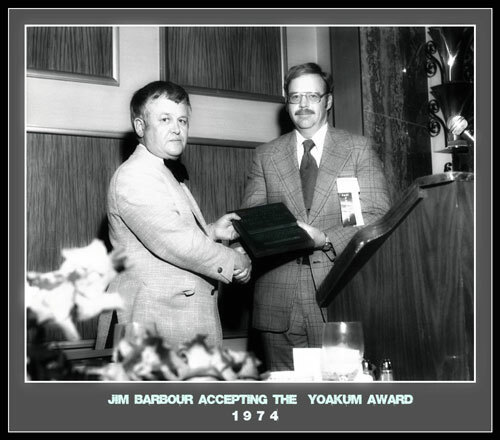 In 1974, Jim received the Robert E. Yoakum Award, the most prestigious individual honor that the organization presents. 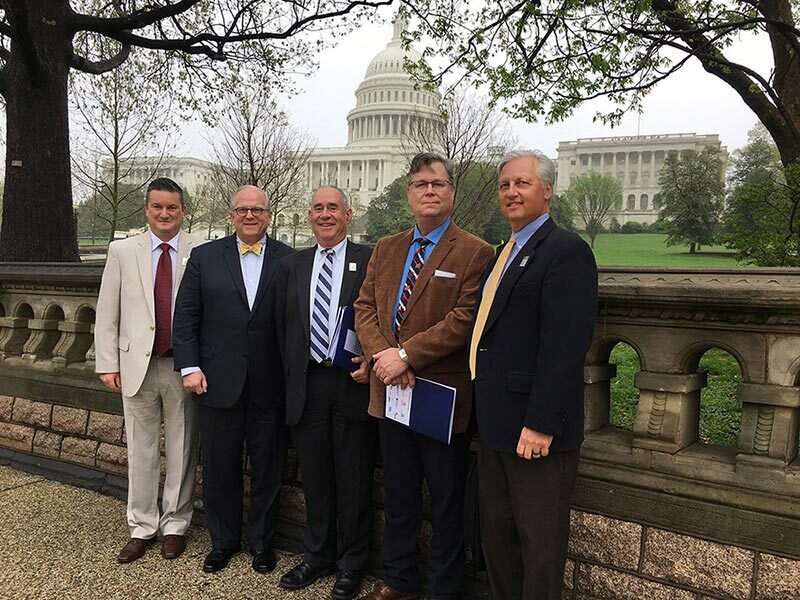 In 1965 when the NPCA was founded, Barbour Concrete became a charter member and has since maintained an active membership. Jim officially retired in 2013 and has remained active in the industry from the sideline. Daneen Barbour, joined the business in 1979 and was integral in the continued growth of Barbour Concrete. 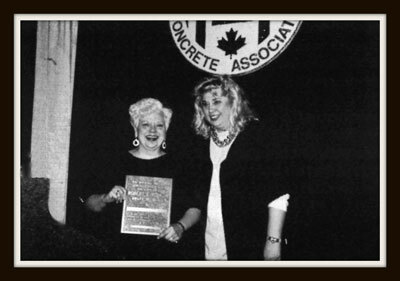 In 1994, Daneen was honored to be the recipient of the coveted Robert E. Yoakum Award for her leadership efforts contributing to the progression of the precast concrete industry. Daneen passed away in 1996. She was a strong advocate for continued education and in 2010, the first Daneen Barbour graduate scholarship was awarded. 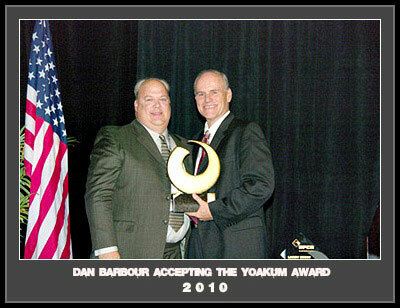 Dan Barbour, began his career in the family business in 1994. Dan became an active member in the NPCA and has spent nearly two decades serving in leadership positions. His long-term leadership as a membership chair, board member and chairman of the NPCA Board of Directors put Dan in the spotlight as he was presented with the 2010 Robert E. Yoakum Award at the NPCA 45th Annual Convention. Making the Barbour family the only three-time winner. Upon Jim’s retirement Dan assumed the role of President of Barbour Concrete Company and continues in this position today. Amy Barbour Burnett, joined the family business in 1996 and assumed the role of office manager. Now, as Vice President, Amy oversees all human resources, administration and office functions. Prior to that Amy had worked as Vice President of Trust Operations for a large Midwest bank. Since joining the family business Amy has contributed to the NPCA by serving on the educational foundation (NPCA Education) and currently serves on the NPCA Board of Directors. The Barbour family has been involved in the local community for many years; supporting organizations through active membership and leadership. This includes supporting youth athletics through team sponsorships, serving on the board of APWA, the Sunshine Center, the Chamber of Commerce, Rotary, Shriners and Jesters, the Independence Junior Service League, and the Jackson County Historical Society. The company also worked with local law enforcement to allow the use of company property for canine training as well as donating products for local fire department to conduct confined space training firefighters. A TRADITION IN PRECAST EXCELLENCE – IT JUST MAKES SENSE. Since 1991, Barbour Concrete Company has been a National Precast Concrete Association Plant Certified Production Facility. This means that you can have the confidence that all Barbour products are fabricated with an ongoing commitment to quality that are built to recognized standards of the American Association of State Highway and Transportation Officials (AASHTO), the American Concrete Institute (ACI), the ASTM International (ASTM), the American Welding Society (AWS), the Precast Prestressed Concrete Institute (PCI), and the Concrete Reinforcing Steel Institute (CRSI).